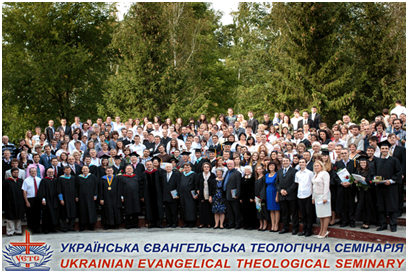 Since 2012, Ivan Rusyn has been Rector of the Ukrainian Evangelical Theological Seminary (UETS), an interdenominational theological school with over 450 students from Ukraine, Eastern Europe and Central Asia. Rusyn is also a board member of an association of 56 Protestant Theological Schools in the former Soviet Union (Eurasian Accrediting Association, EAAA), and member of the steering committee of CEEAMS. In addition, he has a family and tries to make progress with his PhD studies at the Free University. No wonder he does not really make progress with his studies! This summer, Ivan Rusyn, along with more than 15 other PhD students, participated in the Osijek Doctoral Colloquium, one of the programs of the ETS Osijek Institute for Mission Studies (OSIMS), which aims at offering students the opportunity, under the guidance of qualified mentors, to work undisturbed on their doctoral studies. I co-lead this program and mentor Ivan Rusyn and other students. 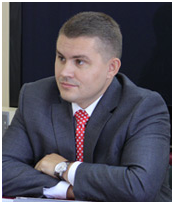 To receive official recognition by the Ministry of Education of Ukraine, Ivan Rusyn is required to complete the PhD degree. In addition, when leaders of Protestant churches in Ukraine do have a doctor’s title, the Protestant churches in Ukraine are taken more seriously by the State. Students at UETS are trained for leadership responsibilities in church and society, to equip others to be salt and light. The number of students that graduated in 2014 was more than 40. They serve as pastors, pastoral workers, missionaries, or are involved in Christian education or work as professionals in society. Ivan Rusyn is known for his wise leadership, and his strong missionary involvement. His vision is to help churches in Central and Eastern Europe come out of their years of isolation and as open, missional communities be a witness in the wider society.